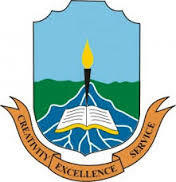 Niger Delta University (NDU Wilberforce) Supplementary Post-UTME Admission Screening Form, Eligibility, Cutoff Mark, Screening Requirements, Date and Time, Application Guidelines for 2018/2019 Academic Session. This is to inform the general public that the sale of supplementary application forms for the selection of candidates for admission into Niger Delta University for the 2018/2019 Academic Session shall commence from Thursday, 4th October, 2018. ⦁ Supply your JAMB Registration number and score to proceed. ⦁ Candidates should pay the sum of two thousand naira (N2,000.00) only for the screening test via the online payment portal. ⦁ Fill in your O’level results with grades. ⦁ Upload your passport photograph. ⦁ Preview and Edit Form. ⦁ Submit and Print Out Application Form. 3. The deadline for the completion of the online Application Form is 11th October, 2018.